Saturday night was the first time I've seen the sky filled with stars. Though there was too much light pollution from the city lights below, and the sky not totally clear, there was enough clearing for an attempt to capture the rich display of huge stars for the taking. 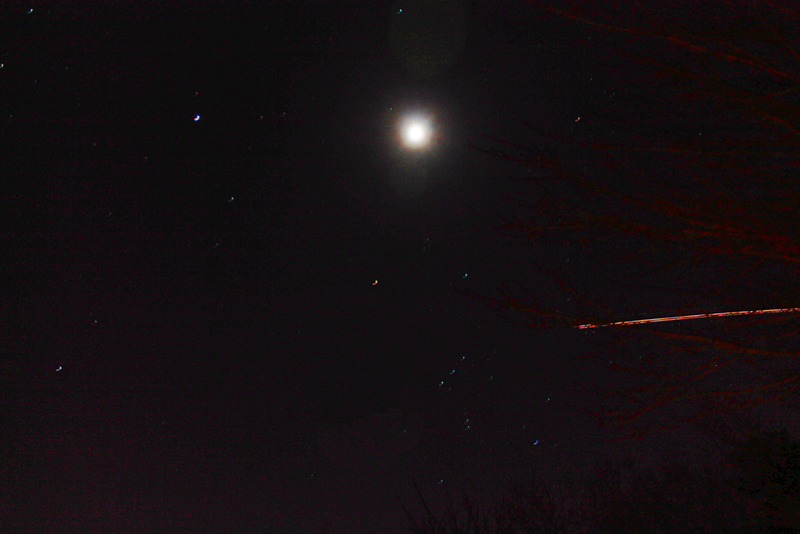 And here is a photo of the stars taken with a faster shutter speed and wide aperture. Notice that the stars have different colors. Some are red, blue and bright white. Apparently in Astronomy, blue is the hottest and red is the least hot at all. From the comfort of your home, make sure you are in a dark location without ambient light around you. 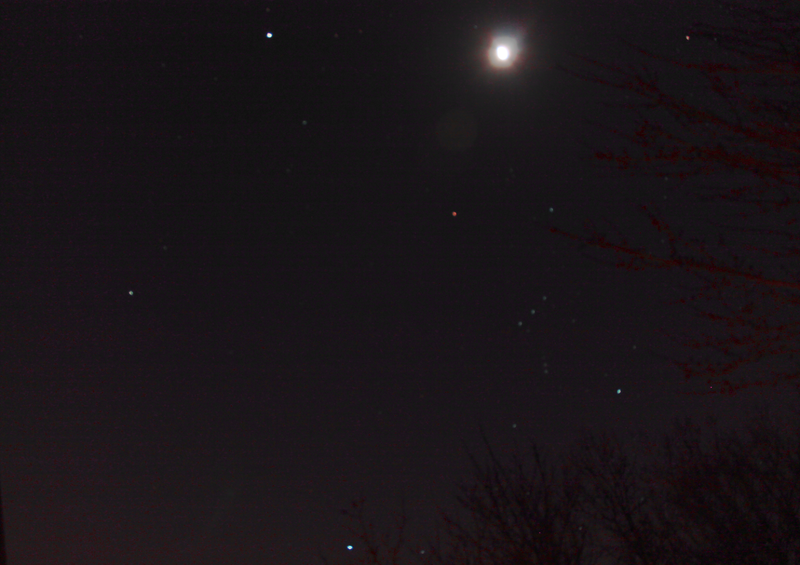 Set your DSLR lens to its lowest mm if you want to capture more areas of the sky. In these photos, I used 18mm. Set your aperture to its widest to get more light to go through your lenses and capture a vivid image of your subject. I went for F3.5 which is the widest my camera can get to. Then, experiment by using a low ISO. I prefer ISO 100 and slow shutter speed of 8". To utilize a fast shutter speed, I used 1/100. Rather, it is merely but an airplane with it's night light flashing across the horizon. Did you guess it right?